Years of quilting for others has taught Page that, "Not ALL Quilts are Created Equal", yet she strives to make them all look their best. Proper loading and squaring are the key. 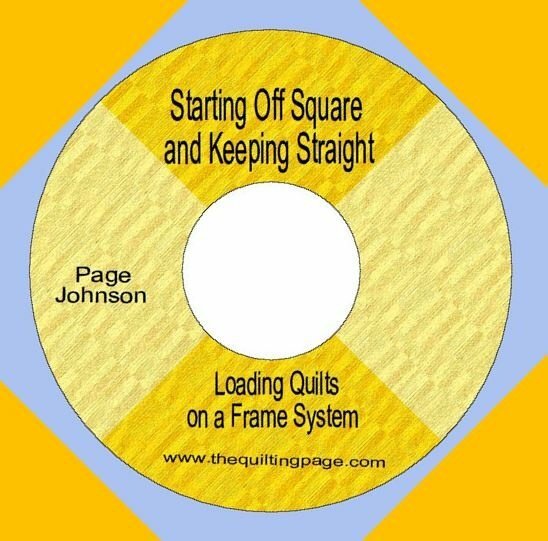 Regardless of what system you use Page will demonstrate fast and easy techniques for squaring and controlling the "Too Big & Wavy" borders and "Wonky" piecing. She will cover several alternatives to pinning, as well as Floating, Fabric Tension, Stabilizing, and Stitch In the Ditch. Squaring doesn't stop at the outer edges, learn how to square on point, and awkward areas. By knowing how to eliminate "issues" you can discover the confidence to tackle that quilt you have been putting off. A before and after PowerPoint® will provide the proof that, "Yes, you can quilt it out"